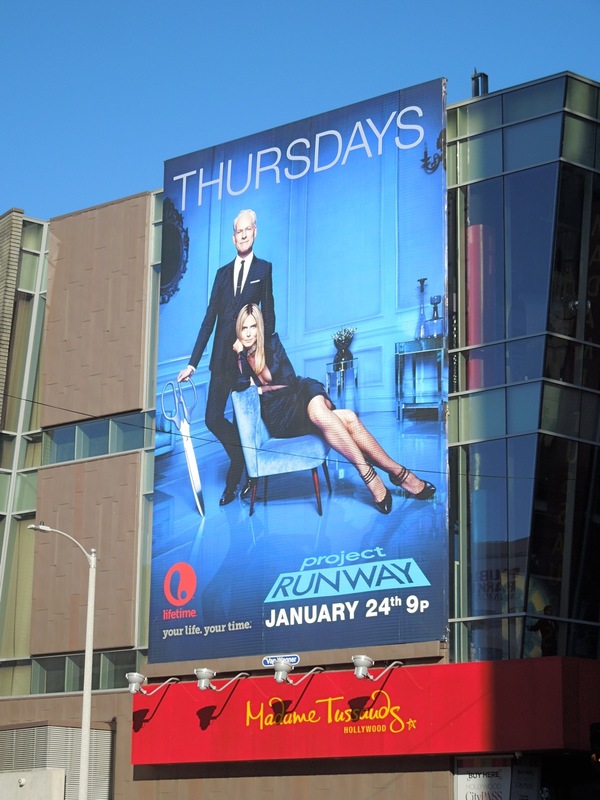 Hoorah, Project Runway is back for an amazing eleventh season and to shake things up this time, contestants in the reality fashion design competition will be forced to work in teams. In previous seasons the episodes featuring team challenges are the ones that caused the most friction and drama (and sometimes even the best clothes), so it's no wonder the producers chose this route to add some spice and give the show a fashionable makeover. Even though Michael Kors won't be joining Nina Garcia as a judge for the full season, there'll be plenty of celebrity guests to pass judgement, plus most importantly Heidi Klum returns as host and judge along with the nicest mentor in the world, Tim Gunn, to really make things work. 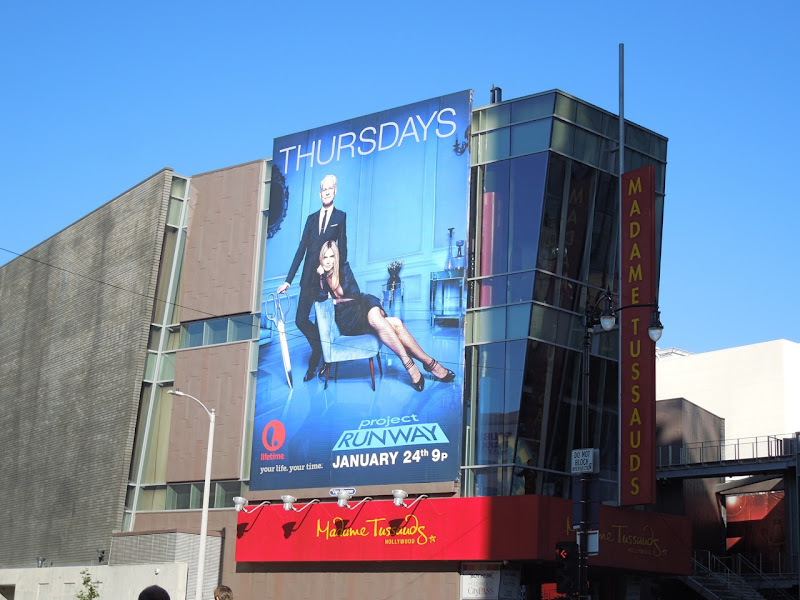 This stylish Project Runway season eleven billboard was snapped on the side of Madame Tussauds Hollywood along Hollywood Boulevard on December 19, 2012. 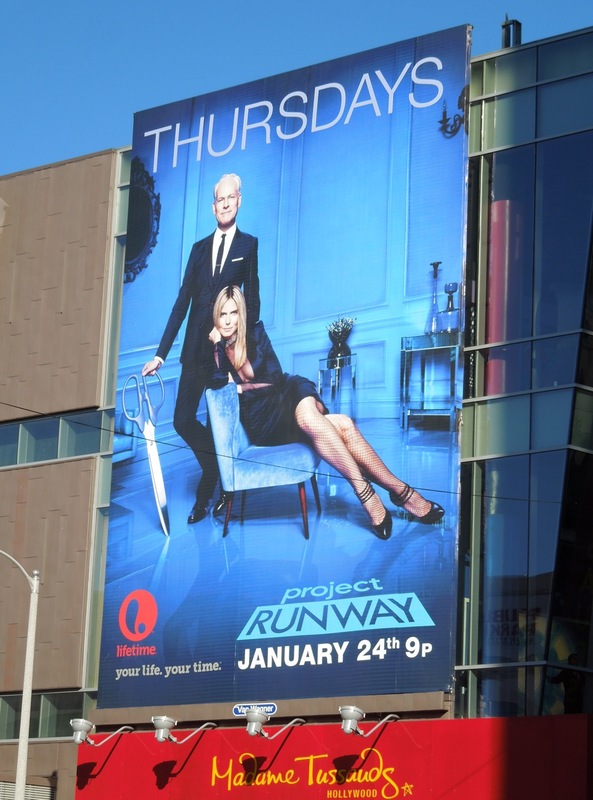 It's nice to see Tim Gunn sharing the spotlight and Heidi Klum keeping her clothes on. 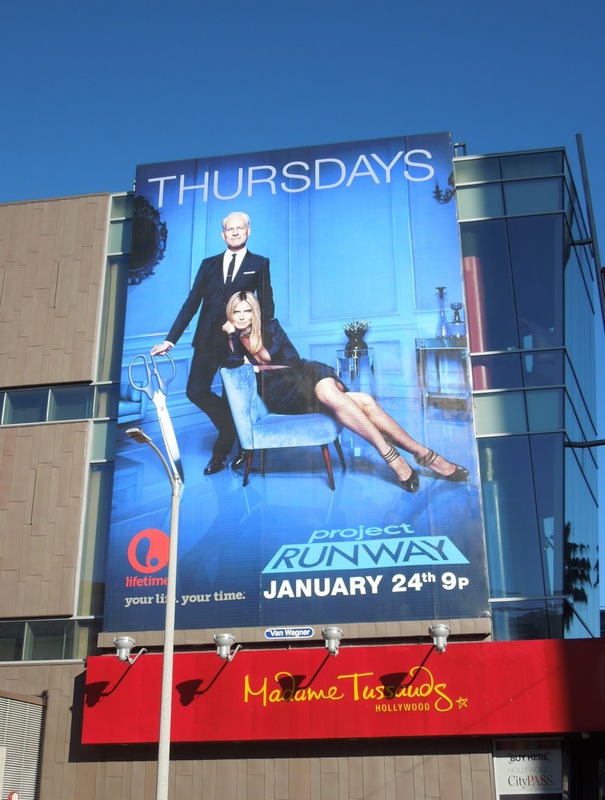 If you're a fan of the show, be sure to check out these fabulous Project Runway billboards from previous seasons.